We are an online shop that aspires to provide its customers with quality food products and groceries specifically required in the preparation of Indian and Pakistani cuisine. The company came into existence on the 1st of January 2010. It has been founded by Raman Gupta, a seasoned IT professional. During his studies in Germany he had experienced the need for an Indian grocery store that was easily accessible and offered products at reasonable prices. To fill this gap, he set to work on a virtual store that goes beyond the regular neighbourhood brick and moreter store, with convenience, economy and good service all rolled into one. The company’s objective is to continuously improve the services, product range, optimize processes. To be able to deliver the advantages to our customers. We are based in Bruchsal, Baden-Württemberg, Germany. The company warehouse is situated there and it is also the location from where orders are dispatched or collected (in case of pickup). 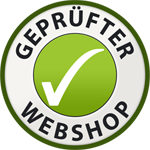 Get-Grocery is the best online Indian store to buy groceries in Germany. We offer variety of products online at very competitive prices combined with good service. Save your time, save your money and buy groceries online! Scroll down our virtual aisles to find all the products that you need on a regular basis, and more. It has always been difficult in Germany to recreate the feel of the Indian kitchen, but as the markets are becoming more open, we have been able to put together a comprehensive and ever-swelling catalogue of products. From Indian snacks and sweets to authentic Indian dals and spices, we have it all. You can find the basic products that you need in one place. And if something that you would like to buy is missing, please write to us at info@get-grocery.com. Your product recommendations are valued and help us decide which products should be introduced. We hope that your shopping basket will never roll out of our store empty! Weather one box or more, the orders above 49€ are sent without charging shipment costs from customers. Don't wory we will pay shipment for all of the boxes. The offer is valid throughout Germany via Hermes. If you live in Germany (or any other country in Europe), you no longer need to step out of the house to get your Indian groceries. Send us your shopping list and wait for it to materialize at your doorstep. Delivery anywhere in Germany will cost you only 4€ (through Hermes) or 4.75€ (through DHL). Check shipment page for shipment costs outside Germany. And you can order for as much as you like!